6 Inch professional hair cutting and thinning scissors set. Brand new quality with high perfect finishing. Professionally ideal for Beginners and Barbers. Extremely soft application of hair cutting set. Stainless steel cutting and thinning scissors finger rest. Includes a convenient carry case. 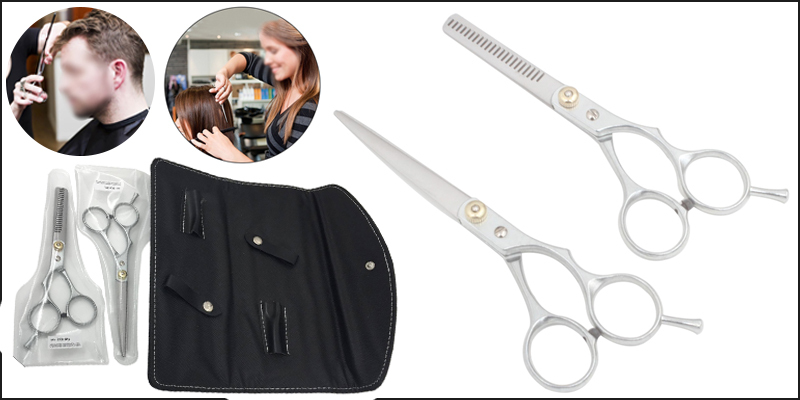 1x 6"Professional hair cutting and thinning scissors set.